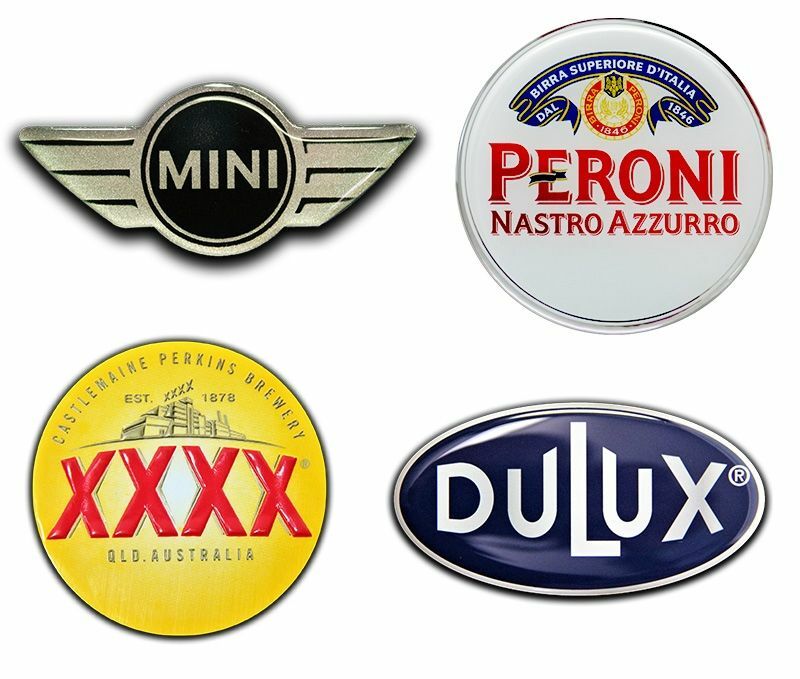 Duro-Lenz is proudly Australian and has been supplying domed labels, domed stickers, name badges, beer cider tap tops, key tags, vinyl label solutions to valued customers in corporate identification and product branding for nearly 30 years. Through continual research and development in graphic design, printing and substrates, we push the creative boundaries to produce unique branding solutions for all industry segments If you’re looking for quality, “eye catching” branding, Duro-Lenz has the solution. What are other names for Duro-Lenz badges? Our domed labels and badges are known by many names. From lensed badges to lensed labels, lensed stickers, epoxy domes, epoxy resin badge, resin badges, epoxy lens label, epoxy stickers, domed logo, label doming, 3D labels, domed sticker, domes, custom decals, bubble badge, bubble lens badges, automotive badges, lenscal, lustrecal, dura lens, ID badges. They are all, one and the same. What is the Duro-Lenz label coating? The Duro-Lenz label coating is a “super tough” automotive grade, ultra-clear, high gloss, 2mm thick surface coating that enhances and protects your logo or graphic image for the life of the product. This world leading process is called “polyurethane doming”. Are UV and epoxy type doming resins equivalent to the Duro-Lenz resin system? In a word…NO! Most of these types of materials will yellow, crack and craze after a short time, when exposed to UV sunlight. This result means your corporate image has been compromised by cheap labelling. Conversely, we often say “our products will outlast the products they are being stuck onto”. At times, you may get a cheap price elsewhere, but, as the saying goes….”you get what you pay for”. Duro-Lenz labels have been specifically “over-engineered” for various applications. This gives you peace-of-mind knowing that our products are manufactured to highest standards. Do you print small quantities? Duro-Lenz is the short run specialists. We can produce 1 off prototypes through to large production runs if required. Our average daily run quantities can vary from as low as 100 units up to 5000 units at the best possible price. Why should I buy domed labels instead of stickers? The Duro-Lenz surface coating enhances, magnifies and gives depth of colour to the printed image and protects the print from scratching and abrasion. The domed surface coating will not crack, brittle or discolour when exposed to long term, outdoor, environmental conditions. This means that, when compared to a standard sticker or other methods of branding products, your graphics will look better, stand out more and last longer. This means more sales for you!